Contribution: Project Supervisor, Concept Design, Graphic Design and Fabrication. 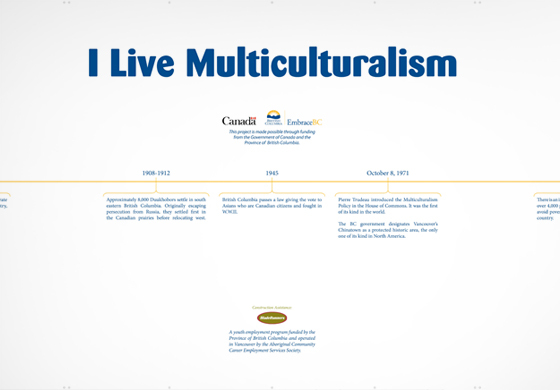 Every year, the third week of November in British Columbia is proclaimed as Multiculturalism Week. 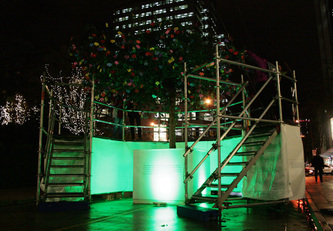 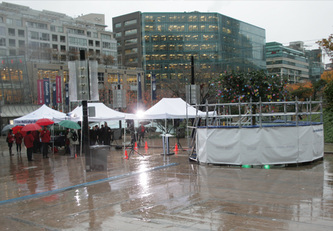 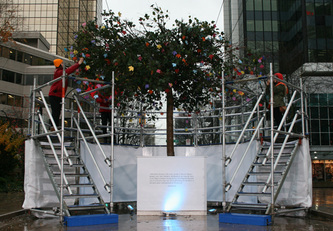 This year, to help celebrate and acknowledge multiculturalism in British Columbia, EmbraceBC is hosted an interactive public art installation at Robson Square in Vancouver from November 18-24, 2012. 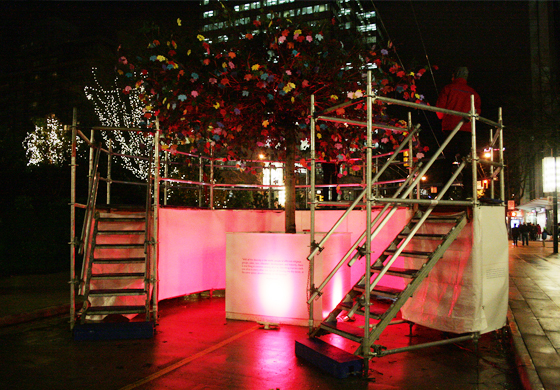 This installation took the form of a Maple Tree that symbolized how as British Columbians we each have strong cultural roots that are wide spread, but which come together as a beautiful, unified icon at the surface. 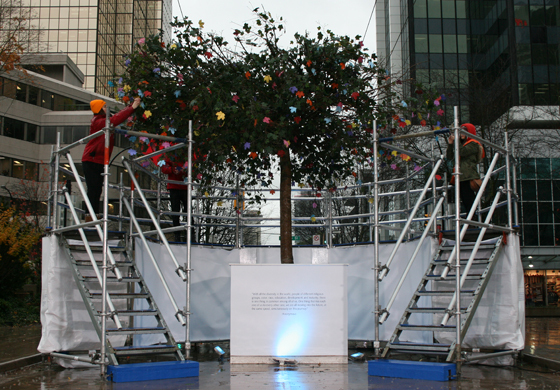 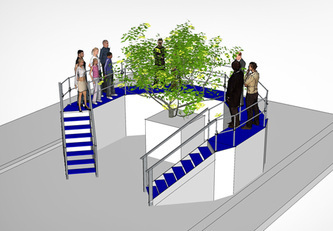 People will be encouraged to think about and share how they live multiculturalism in their daily lives, at home, at work, or at school, and record their thoughts on colourful leaves that will be added to the tree branches to make the tree blossom throughout the week. 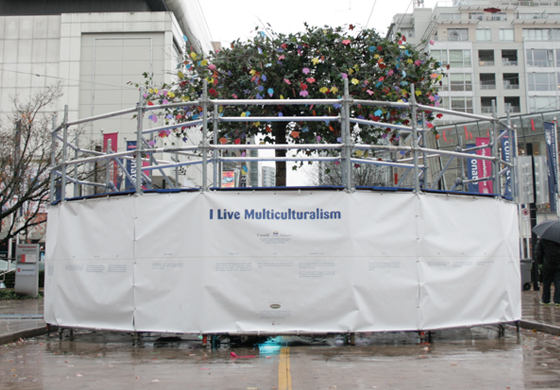 At the end of the week the tree was planted in Stanley Park and a living monument to multiculturalism in British Columbia.Completed as a member of Pipeline Creative.